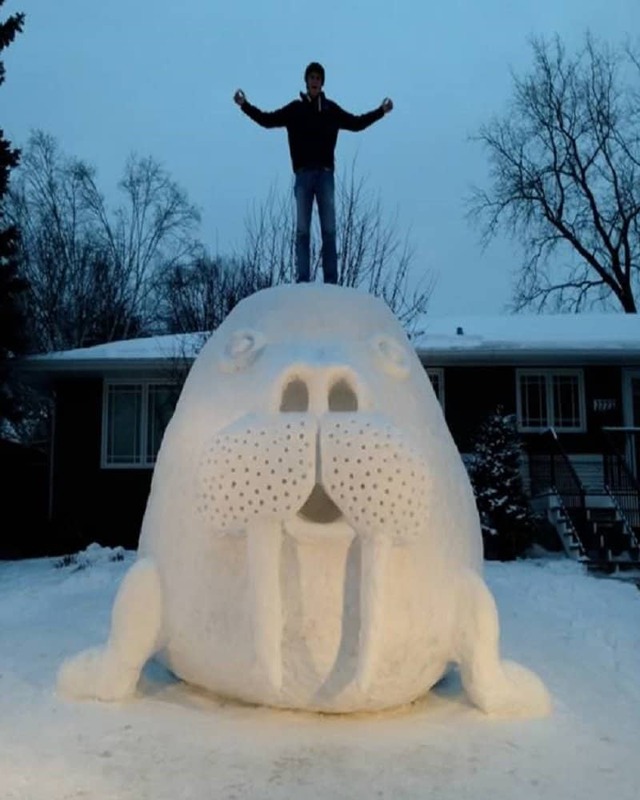 This is a rather funny sculpture to make out of snow. 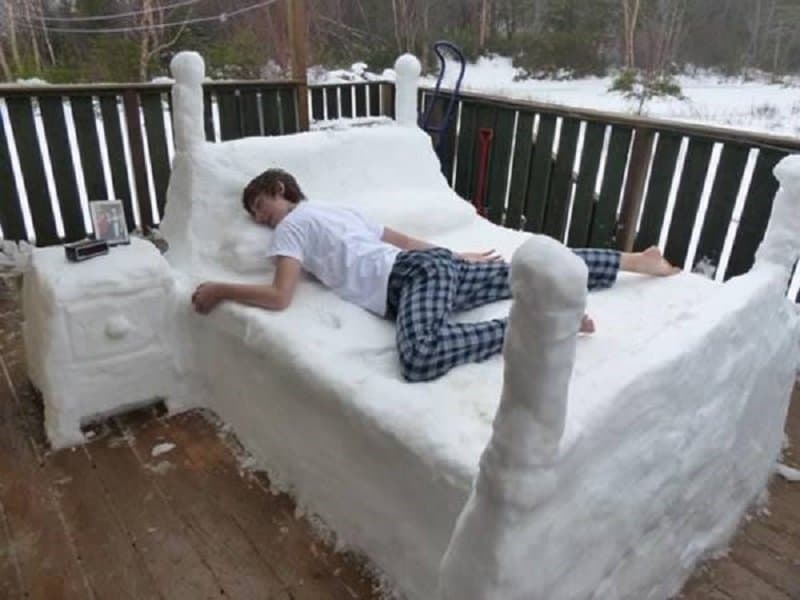 What makes this picture even funnier is how comfortable this boy looks in his snow bed, even though he must clearly be freezing his pants off. 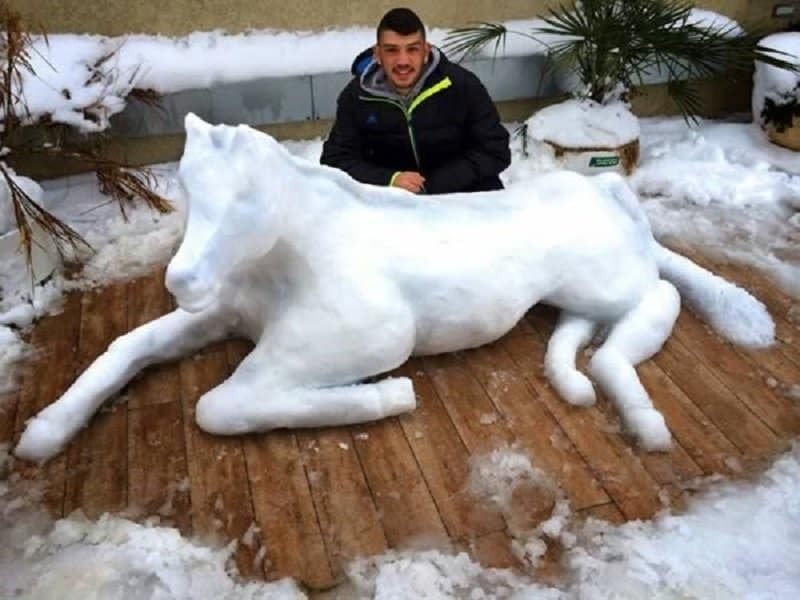 This is a great sculpture to make out of snow. 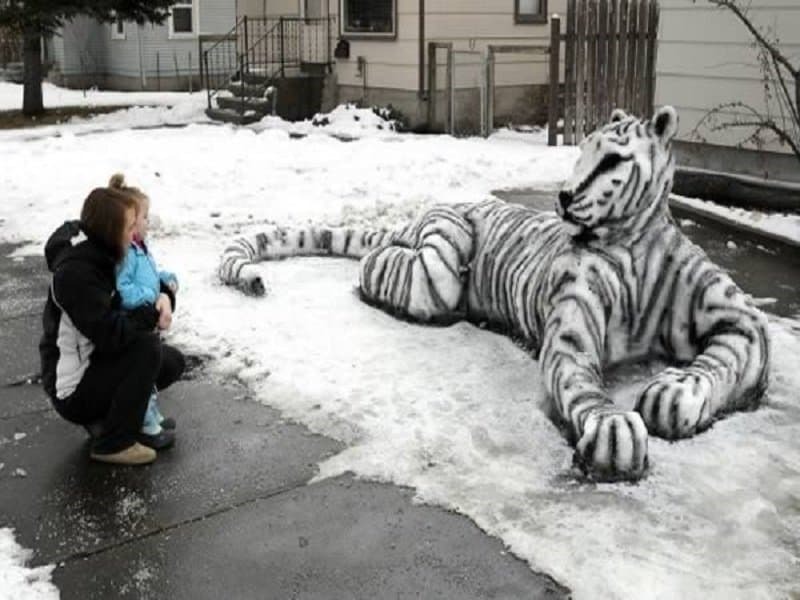 Not only does the tiger look great now when the temperature is low, it will look hilarious when it begins to melt and the lines start to blur. 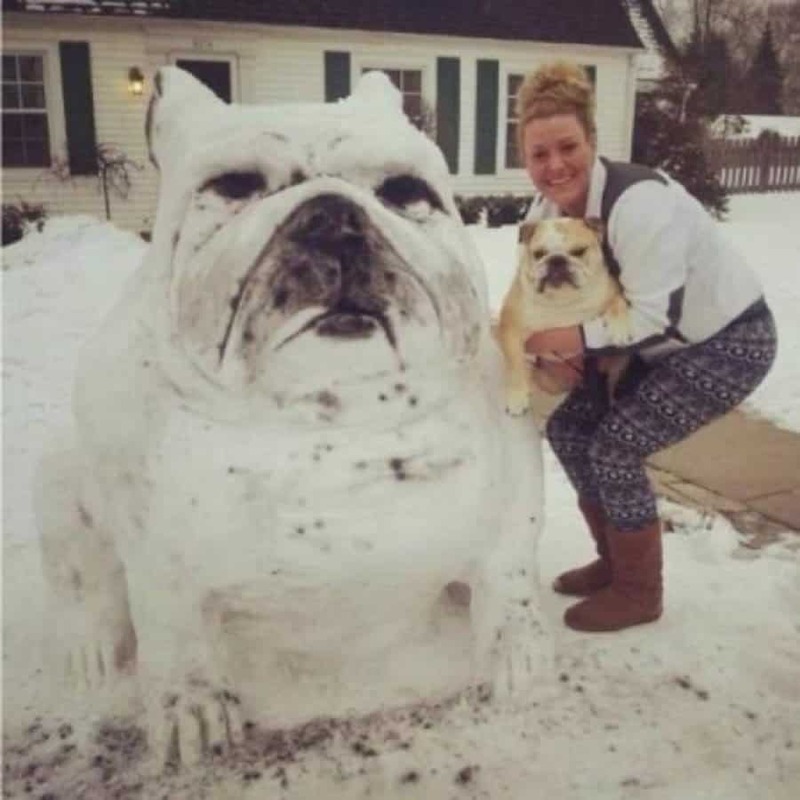 This lady decided to pay a tribute to her pet by making a larger-than-life version of the dog using the snow in her front yard. Both dogs don’t look too amused, though! 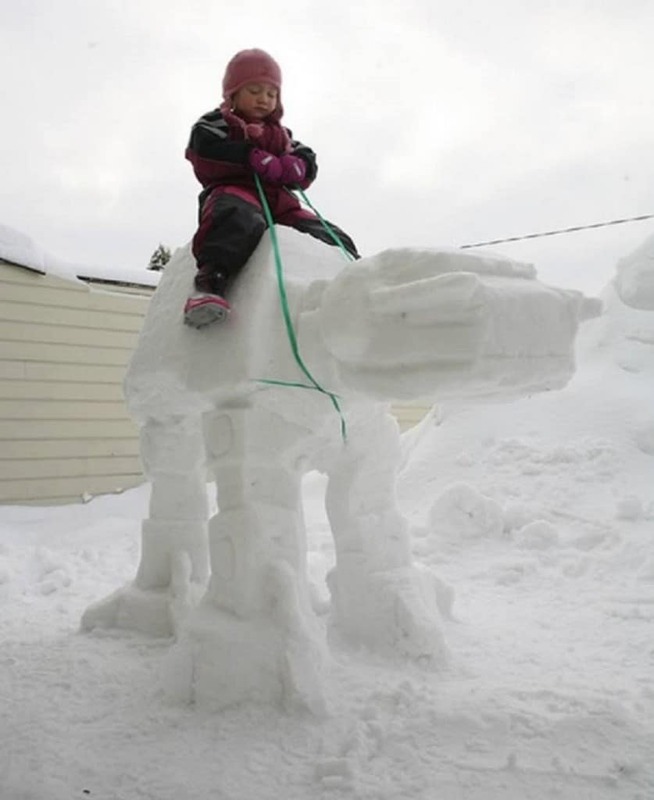 This kid clearly has had a great upbringing if his parents are making Star Wars tribute sculptures for him out of snow. This one wasn’t made on yard, but rather on the streets. 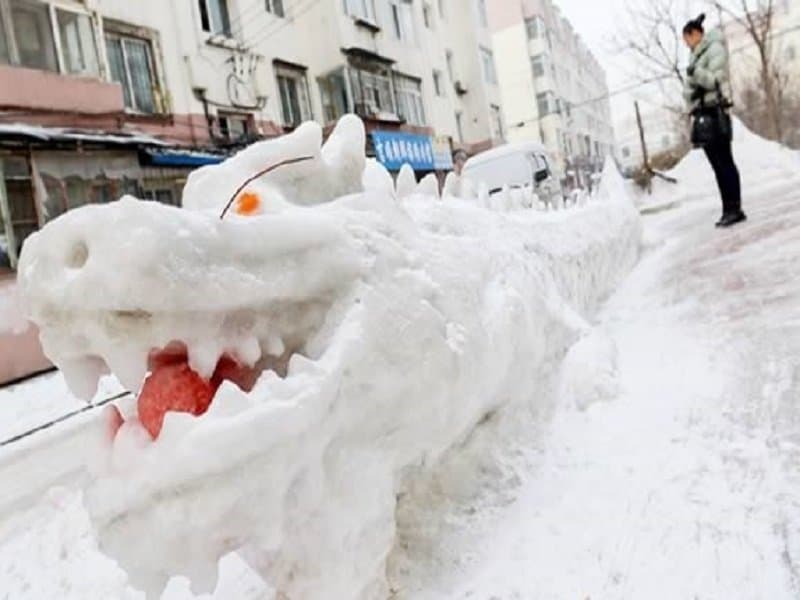 Just as well too, because everyone knows a dragon belongs on the streets. 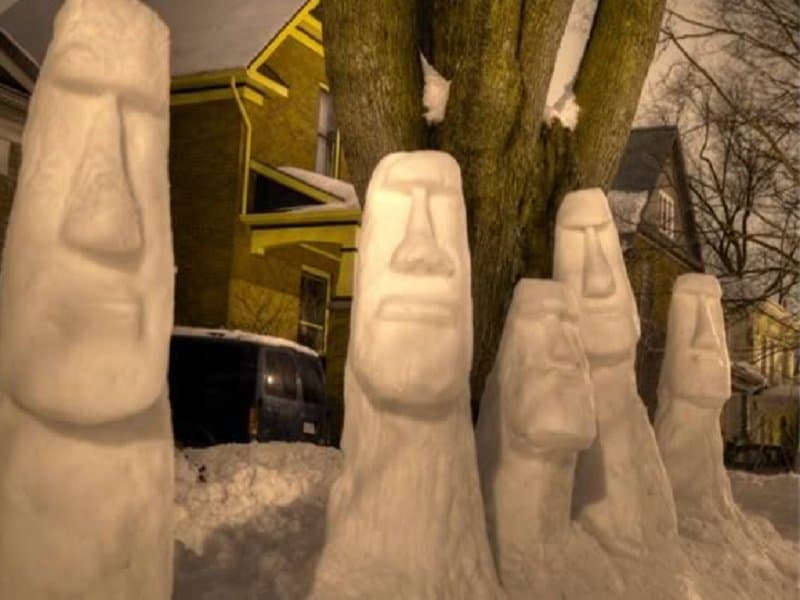 This amazing set of sculptures were seen in Waterloo, Ontario. Someone is clearly a conspiracy theory fan in this household. 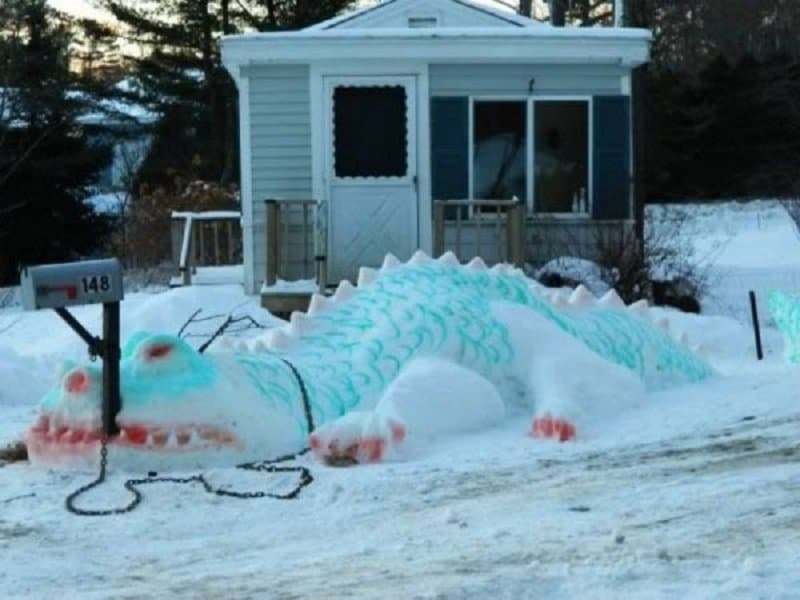 This is how you keep a dragon in your front yard — tie him up to the mail post, or he will fly away. You have been warned! 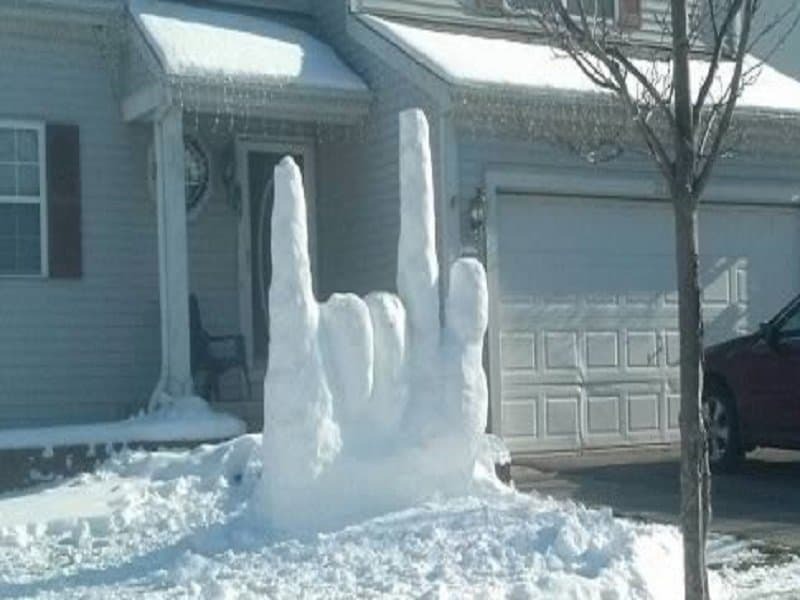 This snow sculpture was posted by a Reddit user who said that it was made by his neighbor who is deaf. For those who don’t know sign language, this is the universal symbol for ‘I love you’.